In honor of Carl Sagan’s birthday, I figured I’d write a few thoughts I had about a fascinatingly unique conference I attended in the Bay Area last week. 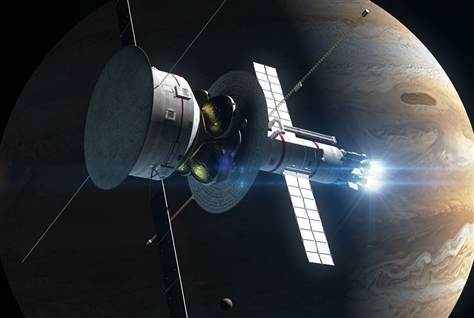 It was called “Finding Earth 2.0,” and it was organized by 100 Year Starship, a group partially funded by NASA and the Defense Advanced Research Projects Agency (DARPA) to plan for interstellar travel within the next century. Like you might imagine such an organization, the conference speakers and attendees appeared rather eclectic, including astronomers and planetary physicists and science journalists—whom I’m usually hanging out with—as well as aerospace engineers, science fiction writers, business people, teachers, space enthusiasts, and many others. But everyone displayed an active interest in exploring the distant universe and imagining what our future might be like. Dr. Mae Jemison, the first woman of color in space, heads the 100 Year Starship, and she gave a plenary talk. She pointed to many motivations people have for finding another Earth, including conundrums and challenges our planet and species face, such as limited resources, overpopulation, and our own behavior—perhaps a reference to climate change or nuclear weapons. I think we have many other compelling reasons for interstellar space exploration, but I’ve written about that here before. I also saw many interesting perspectives and presentations about hunting for planets beyond the solar system, called exoplanets, including habitable ones or even inhabited ones. Dr. Jill Tarter, SETI (Search for Extraterrestrial Intelligence) Institute co-founder and inspiration for Sagan’s protagonist in Contact (Dr. Arroway), gave a provocative presentation on attempts to detect “technosignatures” from distant planets. (She clarified that possessing technology doesn’t imply an intelligent civilization; however, technologies serve as a proxy for intelligence.) Advanced species on these planets could be giving off radio and optical signals that could reach the Earth, but we’d have to listen really really hard to hear them. But if they had a Dyson sphere or an “alien superstructure,” that would be easier. Other astronomers and astrobiologists talked about their work on related subjects. Margaret Turnbull, also of the SETI Institute, spoke about the “massive harvest” of planets reaped by NASA’s Kepler probe, which confirmed more than 1,000 planets in our Milky Way neighborhood and which showed that about 1 in 5 stars has a planet in the “habitable zone.” Stephen Kane (San Francisco State University) made a convincing case that we should view the habitable zone boundaries as uncertain, and that many planets in the zone would actually be not very hospitable to life. Natalie Batalha (NASA Ames) argued that we should be open-minded about planets in other systems. In one of a few relationship-like quotes, she said, “In our search for a [Earth-like] soul-mate, we may be a bit myopic.” But she was talking about the fact that we have no planets between Earth and Neptune sizes here, while according to Kepler observations, such planets seem rather common throughout the galaxy. She and others also made the point that we need detailed imaging or spectra of planetary systems to learn more about their habitability. A bunch of people gave presentations about propulsion systems, trying to push the boundaries of space travel. I thought the most interesting one was by Les Johnson, Deputy Manager for NASA’s Advanced Concepts Office at Marshall Space Flight Center. In back-to-back talks, he described current efforts to design and construct giant solar and electric sails. The sails involve ultra-thin reflective materials that are unfurled in space and use solar energy to propel a spacecraft to the distant reaches of the solar system and beyond. 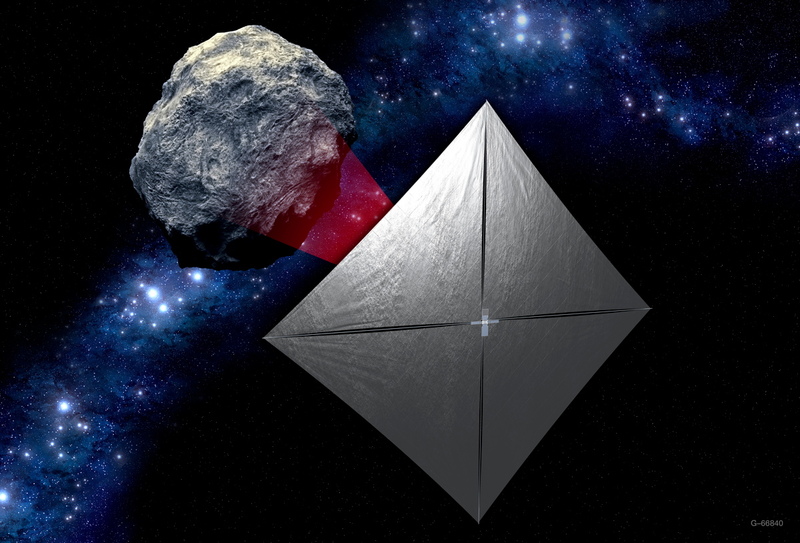 In an important step toward that goal, Johnson and NASA engineers are currently building a solar sail for the Near-Earth Asteroid Scout mission to transport a CubeSat “nanosatellite” to study asteroids past Mars in two years. He and his colleagues are also currently testing electric sails for fast solar wind-powered spacecraft, which—if as powerful as hoped—could even send a probe to another star. Finally, I saw a few strange talks at the conference, and I wasn’t sure what to make of them. For example, one person spoke about the new field of “astrosociology.” He avoided giving any specifics though, even though he had been discussing “deviant” behavior, and admitted after the talk that he had envisioned studying multi-year trips transporting tens of thousands of colonists beyond the solar system. Maybe for the 200 Year Starship! Unfortunately, the speaker had not considered small missions, such as handfuls of astronauts traveling to Mars or private ventures conducting asteroid mining. I’d imagine that such small groups of people stuck together for long periods could benefit from sociological study. So a Dyson sphere is actually a thing outside of ST:TNG? I learn something new every day!